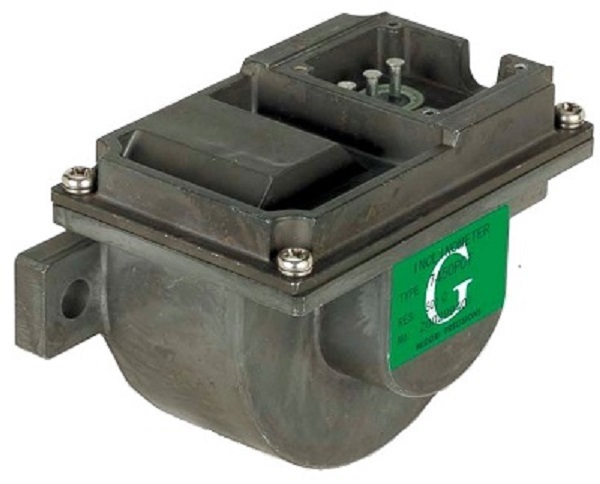 Green Pot is the general term that Midori has used for conductive plastic contact potentiometer. Green Pot is identified by Green-colored name plate attached to the part. Conductive plastic element is the unibody element in which a purified carbonaceous filler was brought to the surface of the plastic resin as a thick film resistor using heat. There are two different types of element: Co-mold element type in which the resistive element has an extreme mirror surface sliding face, and the less expensive Screen element type in which the carbon film is printed on a plastic base to create the resistive element. 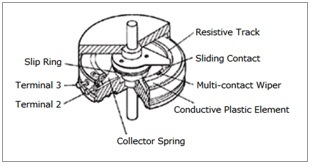 Forming base materials, resistive element, and corrector spring are formed together. 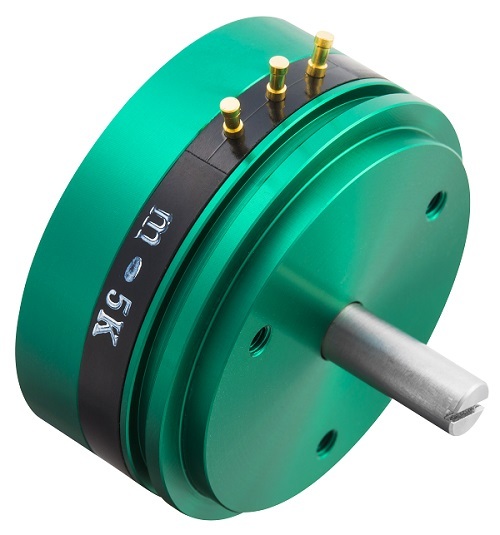 There is mechanical stability and durability against vibration and shock compared to wire wound potentiometer. Screen element delivers equal performance to that of Co-mold Element and moreover also provides superior cost-effectiveness. Conductive plastic element has smooth surface. 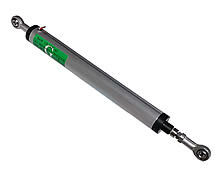 Therefore, there is less wear between the element surface and the wiper contact point. 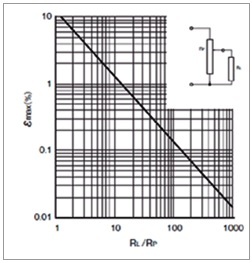 Resistive temperature characteristic of conductive plastics is higher than that of wire wound potentiometer. There are two types: ±400ppm/K and ±1000ppm/K. 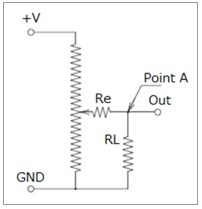 Therefore, in case of using the Green Pot as a variable resistor, effect of temperature is direct but in case of using Green Pot as potentiometer, the effect of temperature is small. 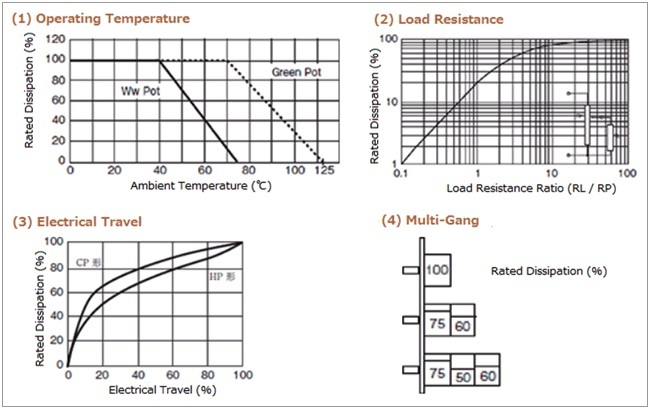 Integral molded resistive element for Green Pot has lower inductance compared to that of wire wound and is able to create stable output under the frequency of 100kHz MAX. In the high vacuum like in space, plastic produces gas and it has a potentially detrimental effect on electric devices. Conductive plastic element of Green Pot produces less gas in the high vacuum, therefore it has been used in satellite application. 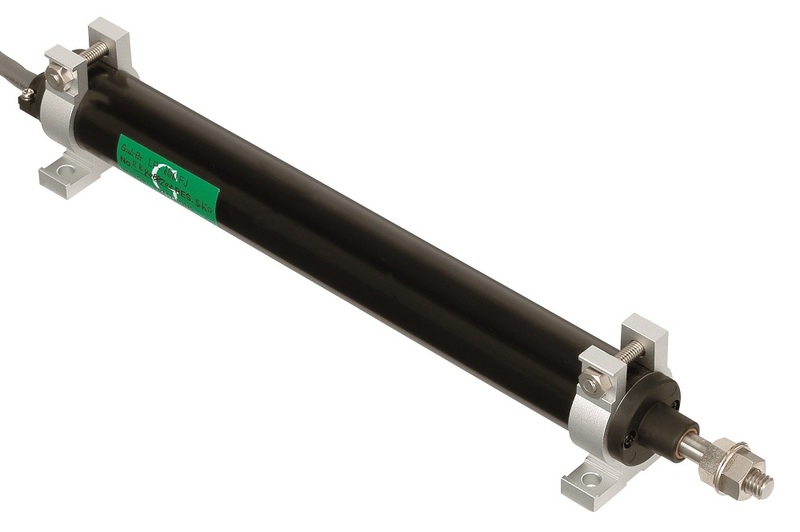 Since Green Pot adopted extreme mirror surface resistive element and multi-contact wiper, it is capable to measure at up to 3m/s shaft rotational speed in a single rotation. 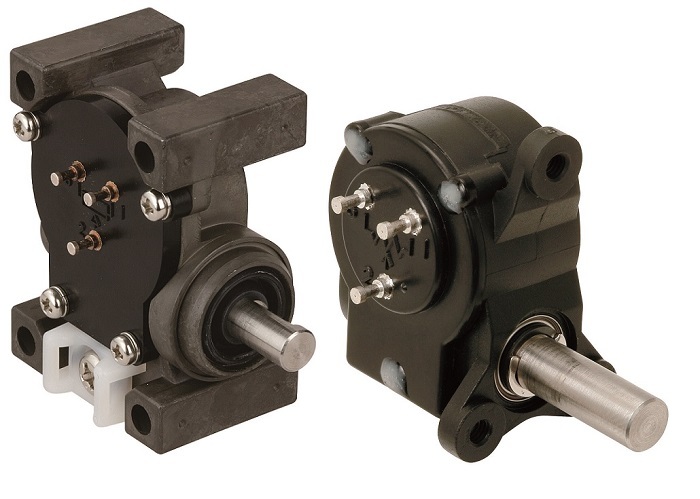 In continuous rotation, it is capable to measure at up to 1m/s shaft rotational speed. 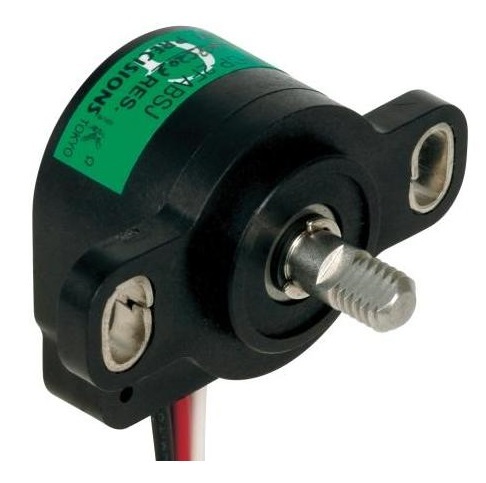 Contact potentiometer generates the equivalence noise resistance because of its structure. 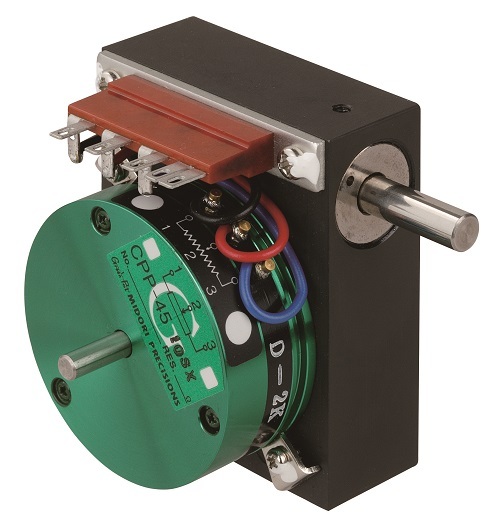 It is possible to reduce the effect of noise resistance on the output by adding large load resistance to the potentiometer. 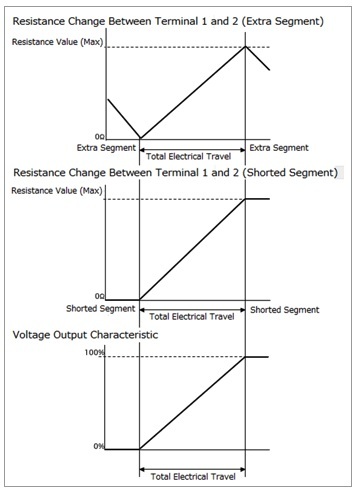 The equivalence noise resistance is expressed “Re” as shown the right figure. Voltage at point A is divided as shown the formula below. To accommodate special electrical travel request from customer, we may need to create new tooling such as metal mask for process of spray. Therefore, in case of small quantity request, unit price might be unexpectedly high and we recommend you to contact us in advance for the price check. 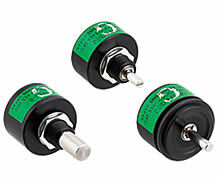 Green Pot also offers the option for center tap (C.T) to de added like Wire Wound Pot. Unlike Wire Wound Pot, it is not easy to install the center tap at any position. 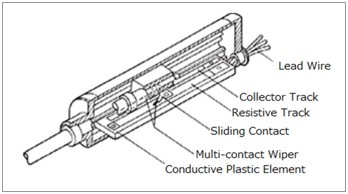 Conductive plastic resistive element is molded or should be printed the resistive track, the terminals, and the taps together. 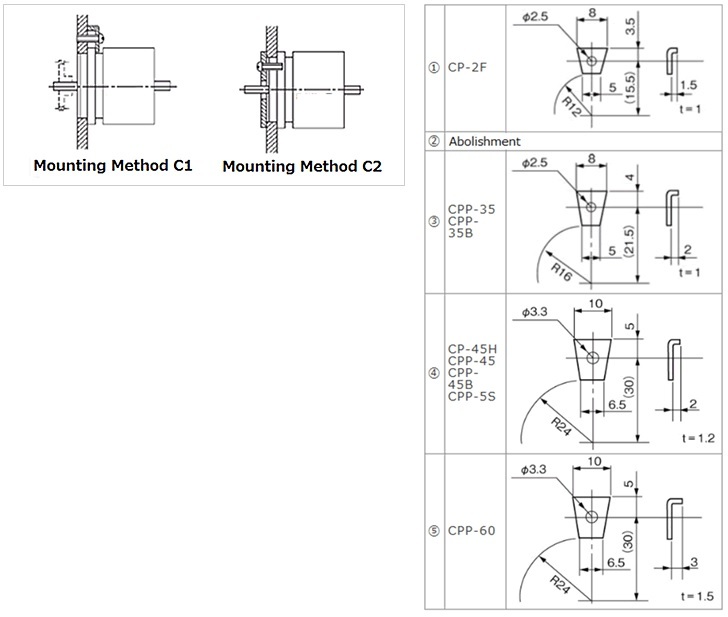 It is necessary to perform separate specific process even just for adding one piece of center tap. 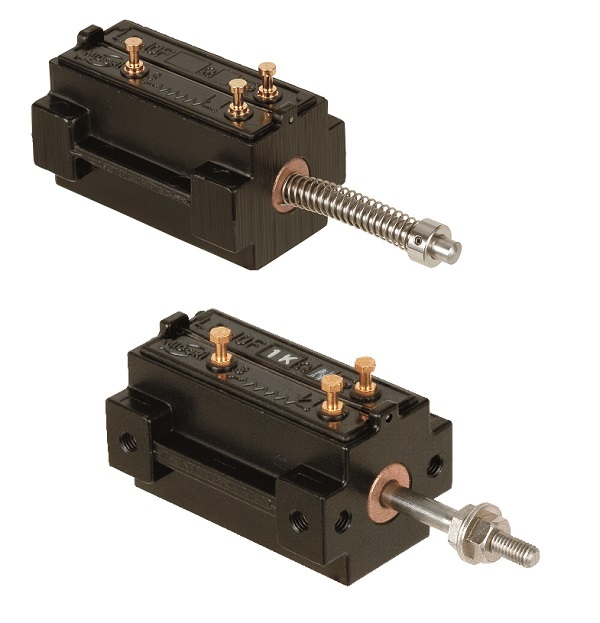 Normally, there is shorted segment around a tap position (B-Tap). To change the process of tap addition, it is available to remove most all of the shorted segment (A-Tap). However, as for A-Tap, it has the characteristics of a slightly higher resistance value than typical pot. We will select B-Tap if tap condition is not specified. 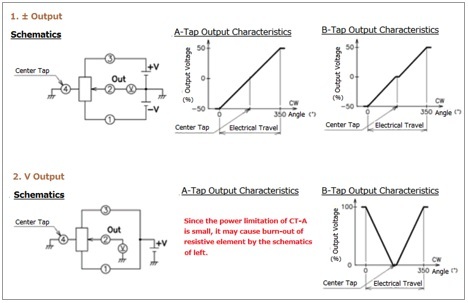 C.T (A) : There is a little resistance between tap and resistive element but this has little impact on output. C.T (B) : Normally use for input. There is shorted segment approx. 0.5° -5° and output will be flat in the range.